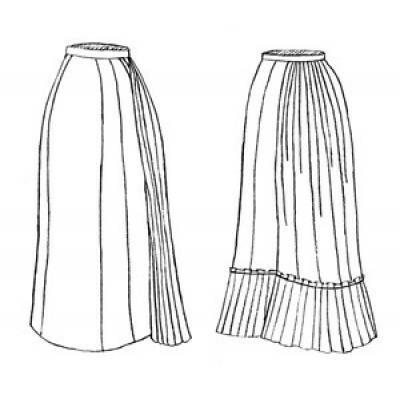 This skirt is drafted based on a tailoring method actually used in the 1870's. 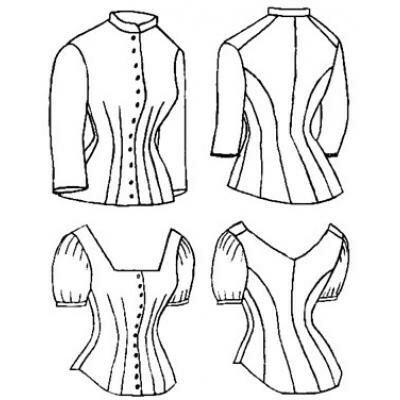 It may be worn with an overskirt or polonaise, or trimmed heavily and worn alone with a cuirass bodice. 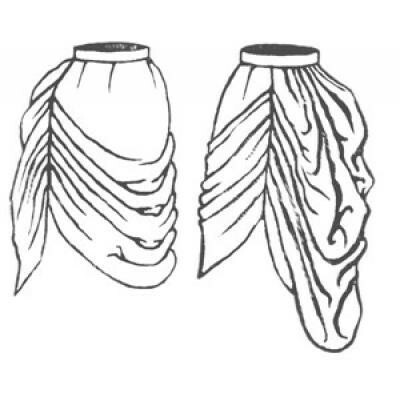 The skirt is slim in front and is tied on the inside in back, to wrap around the body leaving the center back fullness free. It has the traditional 5 gores and a full back width. 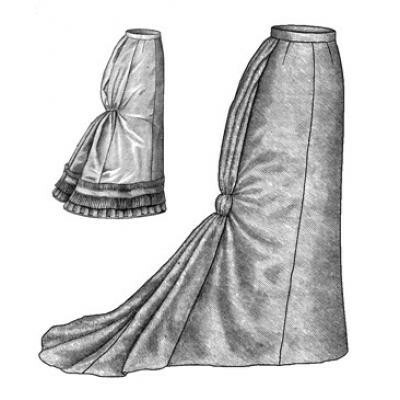 The closure is in the left side-back seam. 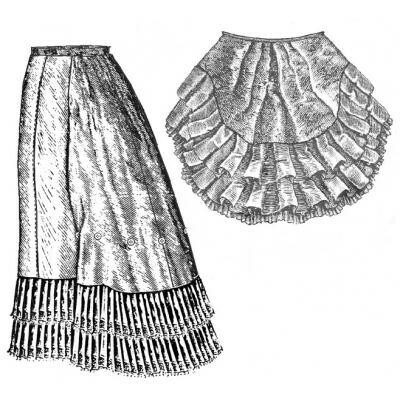 An optional 12 inch ruffle can be added to the hem of the skirt. This skirt works best if worn with Petticoat TV121. 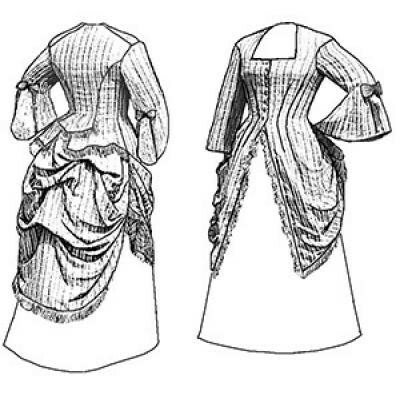 Trimming can make this a very elaborate skirt for a ball gown. Left plain, it makes a great walking skirt. 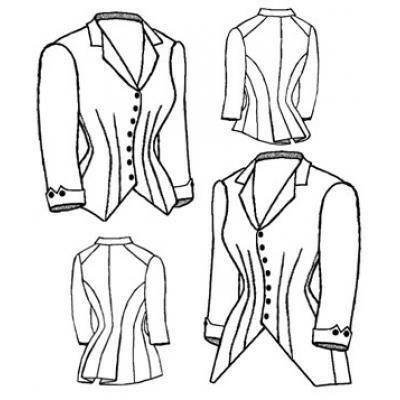 Wear it with different overskirts to get different looks.